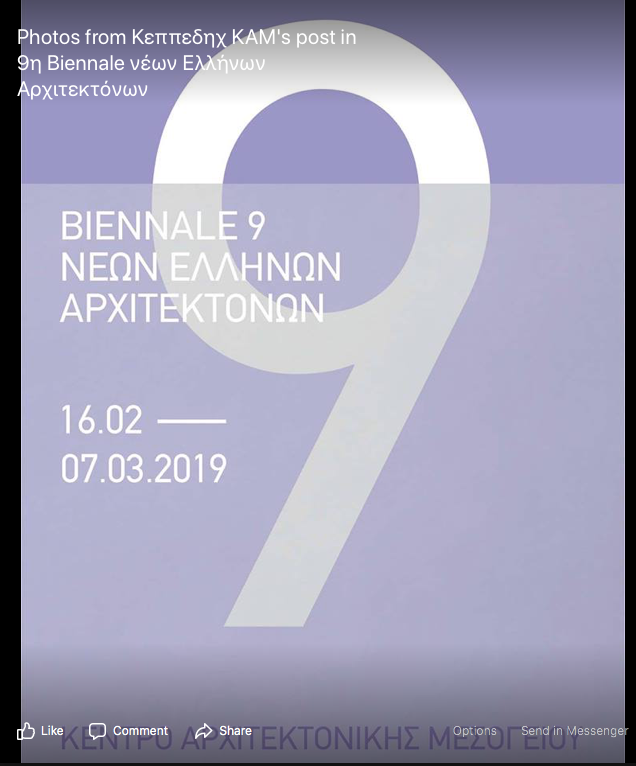 The Centre for Mediterranean Architecture presents the 9th Biennale of Young Architects of the Hellenic Institute of Architecture from 16th February to 7th March at the Grand Arsenal. The Biennale aims at rewriting the best productions of the young architects. However, it does not only record the works of an era, but it projects a number of works from a wider set as the most important ones, depicting the “stigma” of the two-year period. In this way, the Biennale is the expression of a modern architectural “style” from a particular point of view. The EIA (Hellenic Institute of Architecture) has decided to upgrade the role of the selection committee, inviting important theorists and architects, to reflect on the submitted material and evaluate the projects of the exhibition. The five-member committee consists of Elias Constantopoulos, President of the Hellenic Institute of Architecture and architects, Konstantina Kalfa, Theoni Xanthi, Panos Tsakopoulos and Kostas Tsiambaos.